Have you explored our Greyson Place Faves Marketplace yet? If not, you’re missing out on what we consider the cream of the crop, the absolute tops, the very best of Greyson Place! Each item featured in the Faves Marketplace has been hand-selected by our team of designers led by Nancy Honchen, expert Interior Designer, wine connoisseur and dog lover extraordinaire! 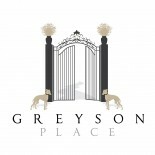 Check out some of our most unique items below, and click here to browse the entire Greyson Place Faves Marketplace! Reblogged this on Design Secrets. This entry was posted on April 8, 2014 by Kaitlin Wagner in Greyson Place Faves and tagged Greyson Place, Home & Garden, Home Accessories, Home Decor, Interior Design, Shopping.